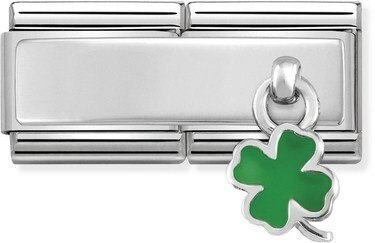 Add a lucky reminder to your Nomination collection with this four leaf clover charm! 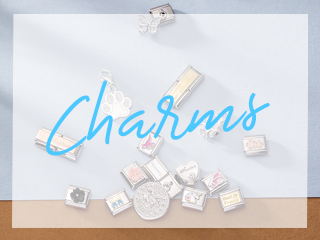 This double charm is crafted with a stainless steel base and sterling silver plate, left blank for your own message to be engraved. 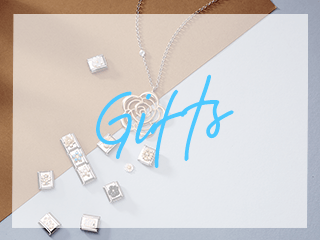 A sweet hanging clover charm has been added, crafted with a vibrant green enamel for a double drop of luck and colour.